wrong assumptions ahead. I was writing that from some developers point of view. Also, VST3 is not really about new technology since it based on 1993's tech -> COM. In comparison VST2 is simply dynamic library with a C interface. You can code any VST3 plugin to not give a damn about disabling when there's no input. and VST2 side-chaining is a work-around. Not really. Well yeah, it's not a separate feature. But the real problem is some hosts not allowing to do proper or flexible audio routing. Plugin and DAW developers don't like some apparently really really bad things, like the MIDI learn thing from U-He's devs. VST2 allows you to process actual MIDI messages, while VST3 abstracts this away. Makes MIDI learning based on received MIDI messages rather complicated. I remember having read on KVR that, he actually had someone write the Diva VST2 to VST3 and it was not a properly done job that's why he re-wrote the VST-3. There's no problem with the VST 3 design, but some developers (as big as U-HE) would want to bash out at technology not their own lack of skills; but apparently as of Jan 2019, they support VST-3. So, welcome to the dark side. hahha. Most of our stuff has transitioned to to stable VST3: Diva, Zebra (+TDZ 6 Zebralette), Repro, Hive, Satin, Presswerk, Colour Copy, Twangström. The remaining payware - ACE, Bazille, Uhbik, MFM and Filterscape - should follow later this year and free/magware (other than Zebralette) depend on, well, schedules..."
As for midi controllers: Yes VST3 did not initially support midi controller learn, there are some at Steinberg that wanted to get rid of midi altogether in VST as who the hell wants a 40 year old code and 8 bit controller info (128 steps) if you do a filter sweep recorded via midi controller info you will hear stepping, for years we complained about this, then automation lanes came along with hugely improved resolution and the world was a better place, but because some wanted midi back its being added into the vst3 protocol as next version. If you want someone to blame, blame the midi association that’s taken almost 40 years to update the midi protocol. So, both points you have raised are completely irrelevant and frankly misleading. Man,I've posted something I read months ago on KVR.And for this comment I've searched it with Google some minutes,I haven't read all the discussion again. If I've forgotten to cite something of this discussion it wasn't intentionally.Relax. I use S1 and I know that i had many problems with vst3.Since I've deleted all my vst3 2 months ago,no problem at all. actually quite a interesting thread but a bit long, while reading remember Urs very busy building company and thought he had paid for a decent port, he personally knew nothing about vst3. To think Urs knew nothing about about an audio subject is a bit like renouncing god but indeed he did not, things have changed, and u-he is perfect once more. Sorry to here of your vst3 problems but think problem is in the implemention of some DAWs will be intresting to see how it works out for Ableton users and how they fair. Also, VST3 is not really about new technology since it based on 1993's tech -> COM. In comparison VST2 is simply dynamic library with a C interface. When it comes to C++ programming there're very few things you can't do. But the context matters. we're not talking about how it's programmed but what it offers. You can write a C89 library that is revolutionary for what it does. I know for a fact that VST3 at least make it easier to add that feature. MYTH: VST3 isn’t that different from VST 2.4. It’s just hype; there are no real improvements. VST3 is a ground-up redo of VST 2.4 and is essentially a new platform. So now that we’ve busted a few myths, let’s look at some unique VST3 advantages. Sample accurate automation. The manufacturer has to implement this, but it’s a significant change compared to VST 2.4. Hierarchical plug-in and automation parameter categorization. Some consider plug-in categorization (fig. 3) a drawback, because they can’t organize plug-ins the way they like (although most hosts provide some kind of plug-in manager, in which case it doesn’t matter). But when you want to automate parameters, VST3 plug-ins can make life a whole lot easier if the manufacturer took advantage of the parameter categorization options. Grouping all filter automation parameters under a “Filter” category is waaaay better than a huge list of automation parameters with a seemingly random arrangement. 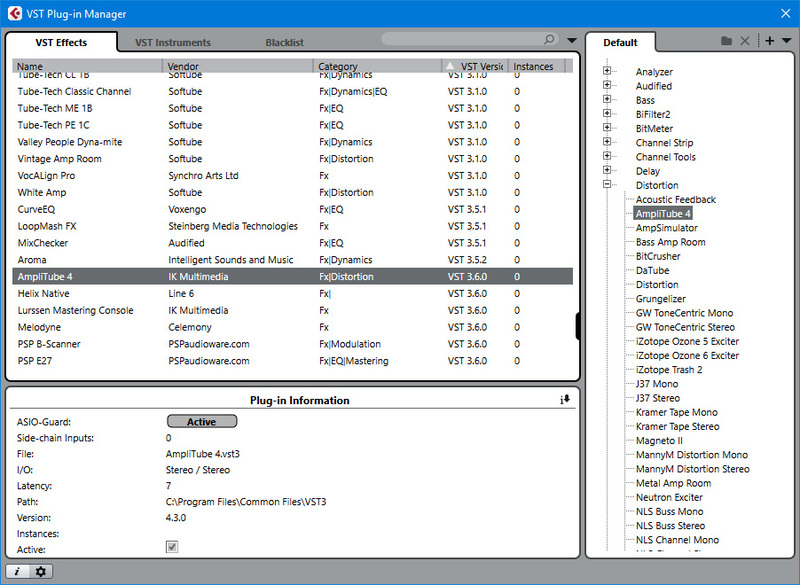 Figure 3: Cubase 9.5 has a sophisticated VST plug-in manager. Note how in the Category, some plug-ins have been categorized as to the type of effect (e.g., Dynamics, Modulation). Highlighting a plug-in shows information about sidechaining, type of I/O, file path, and more. The VST3 SDK is free technology that is available to any developer. Thanks, Steinberg/Yamaha. Enough said. Dynamic I/O allocation. VST 2.4 plug-ins used to have a fixed number of inputs and outputs, but that’s no longer the case — VST3 plug-ins have the potential to adapt to the channel configuration into which they’re inserted. Put the plug-in on a stereo bus, and it’s stereo. Insert it in a surround bus, and it’s surround. You can also create audio buses, which makes cross-modulation and vocoder applications easy to do. But again, it’s up to the manufacturer to implement these features. Instrument output bus cleanup. In a related development, instruments with multiple outputs can take up a lot of unneeded mixer channels. With VST3, you can disable unused outputs yet re-enable them later if needed. Window resizing. This is certainly welcome, given that monitors have a wider variety of resolutions than when VST was introduced back in 1996 (and for perspective, “Macarena” was the #1 song of the year. Just sayin’). With virtual instruments, there’s support for multiple MIDI ports you can switch on the fly. And who doesn’t like multiple MIDI ports? It’s a lot easier to do a search and find your plug-ins. VST3 plug-ins have the .vst3 suffix instead of a generic suffix. Plug-ins can have a dedicated “event bus.” Although at present this is designed for MIDI control input, there’s no reason why it couldn’t accommodate some future standard that’s not MIDI-based. VSTXML for remote controllers. No, a cat didn’t walk across my keyboard. VSTXML is a protocol that simplifies creating remote controllers for audio and MIDI software application. It can even display non-editable parameters, like metering. Multilingual design. All user-facing character strings are in Unicode format, which allows displaying characters in any language (включая русский — which means, “including Russian”) to facilitate localization. Better handling of MIDI events. This assists upcoming expansions to the MIDI spec. As one example, a particular note could be associated with bend so only that note reacts to pitch bend — think MIDI pedal steel. An instrument can also have more than one MIDI input and/or output. Indeed. VST3 provides a clean way to implement it properly. Nevertheless, no force to do. That's my point in this regard, nothing else. Sorry for any confusion. That's only half of the story, though. VST3 SDK is dual licensed. (1) "Free technology" means GPLv3 version of VST3 SDK. GPLv3 is not suitable for basically any commercial plugin. "If you distribute copies of such a program, whether gratis or for a fee, you must pass on to the recipients the same freedoms that you received. You must make sure that they, too, receive or can get the source code." (2) On other hand, proprietary license contract "entitles Steinberg to terminate this agreement with a 36 months written notice" anytime. In such a case it seems like a developer would no longer be allowed to develop, update or distribute any VST3 plugins. Apparently not even their existing ones. This could have made it into VST2 easily. Nothing special would be required for supporting a .vst2 suffix. IVST3 SDK is dual licensed. (1) "Free technology" means GPLv3 version of VST3 SDK. GPLv3 is not suitable for basically any commercial plugin. (2) On other hand, proprietary license contract "entitles Steinberg to terminate this agreement with a 36 months written notice" anytime. Yeah, that's the case with most programming technologies nowadays. At least now we can have powerful tools as long we don't make money. The moment we want we're f*ed. For instance, lately I've been playing with the incredible Juce plugin framework (GPL edition). Basically compiling examples and stuff, with the powerful Visual Studio 2017 IDE/Compiler (Community Edition, very roughly GPL). You can even add the fastest FFT/convolution/matrix crunching math library, Intel Performance Primitives (CE edition again, not a joke). PS: almost forgot the one useful thig I wanted to say. Steinberg no longer distributes the VST2 SDK since a few months ago. Legally speaking you'll have more license problems now if you try to develop VST2 plugins. I tried to compile a JUCE plugin example, a MIDI arpeggiator. Didn't work on the DAW. I turns out VST3 MIDI effects have problems even in very advanced libraries like JUCE.